The Call Centre Service that we offer to our clients focuses on a wide array of skills required to function productively in this competitive market with flourishing BPO and ITES organization each day. Designed and developed by a team of highly qualified hardware and software engineers, our services help in effective functioning and operations of the call centers. Timely executed, these services are rendered to the clients at most competitive prices. Data mining service is the activity of extracting vital data from a source where large chunks of information is available. Data mining process also involves arranging the extracted information in an organized data base format for easy access. The data need to be extracted could be anything. Your company’s internal documents, websites, product information, competitor information, contact information etc. Unsorted large volume of data is of very little use, where as an organized data is the most powerful tool for making major managerial decisions, marketing strategies etc. 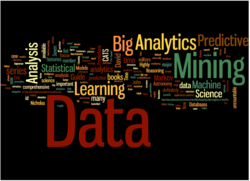 Data mining service involves a series of complex tasks that make use of advanced techniques. Outsourcing is the best choice If your staff is not well trained or lacks the time to do a productive data mining, It also give the added advantage of financial savings. Professionals at Stream Perfect Global Services provide you one of the most competent data mining services in the industry. We have years of experience in dealing with a wide range of data mining processes from almost all industries. Banking on our multi-domain and multi-language experience and expertise, we are also involved in offering incomparable Email and Chat Support Services to our esteemed clients. Framed in strict compliance with industry established norms and guidelines, these services help the clients in getting maximum benefits in terms of enhanced productivity and performance. We offer world class Technical Support Call Center Service to clients in order to make their customer relation more appropriate and long lasting. Carefully analyzing the diverse needs and demands of the client’s businesses, we offer solutions that help clients in establishing strong rapport with existing clients and indirectly increasing their productivity and market presence. 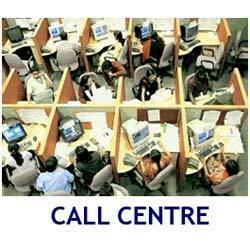 As our services ease the clients from customer support operations and divert their focus on core business processes.